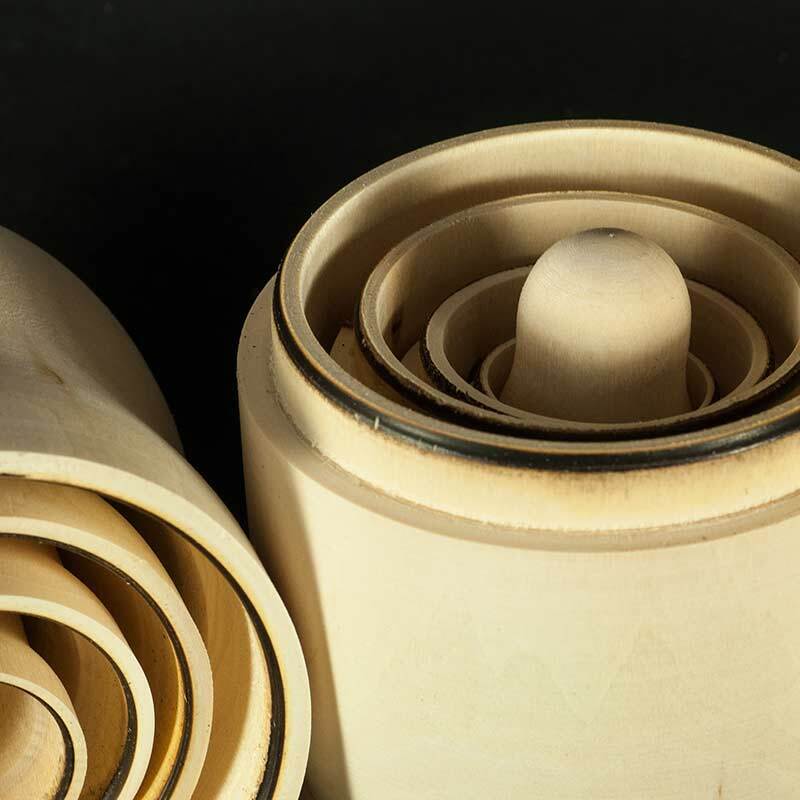 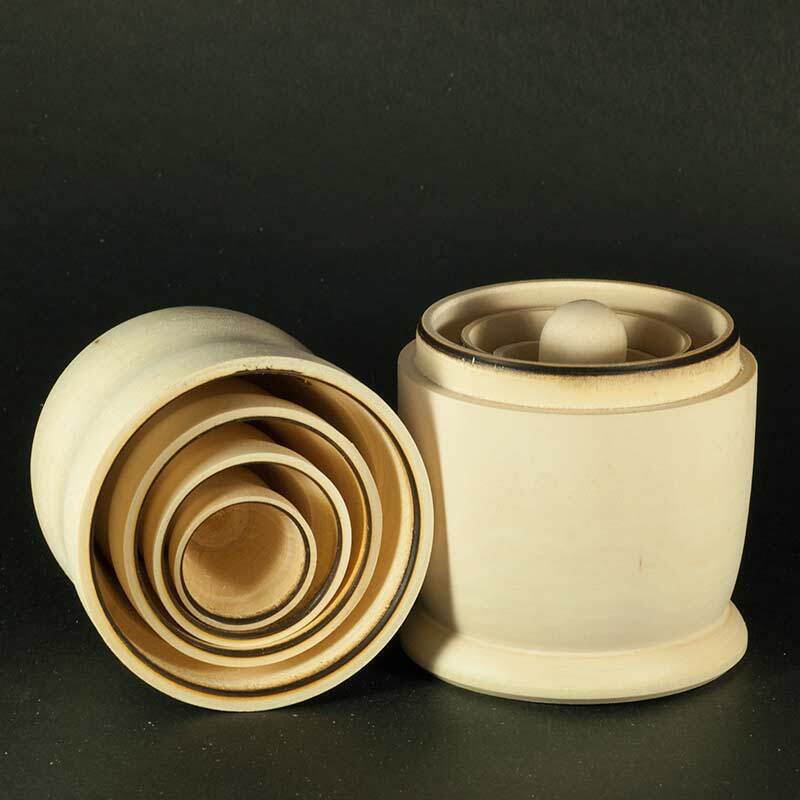 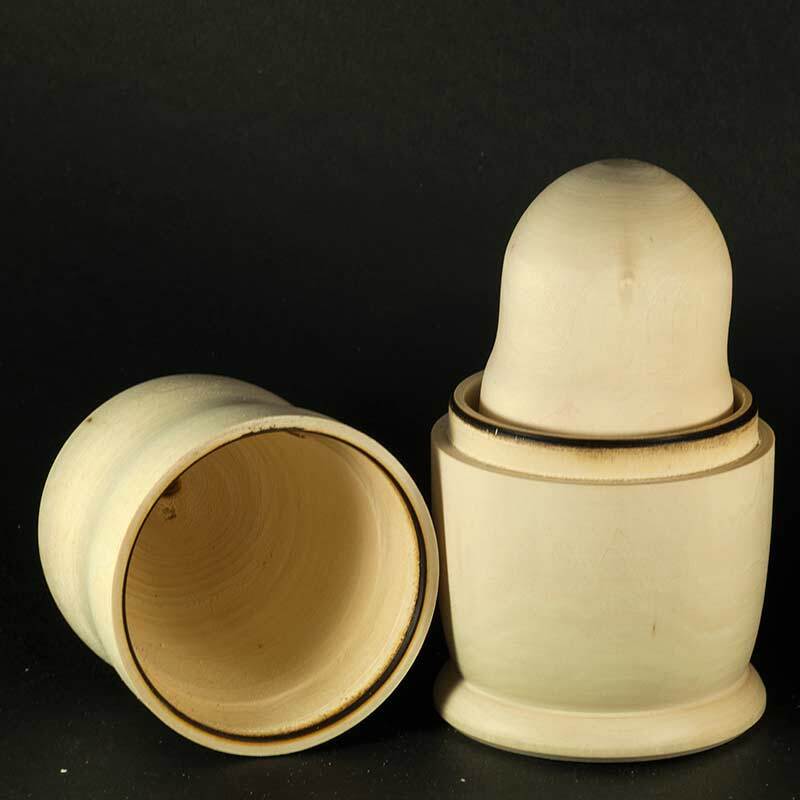 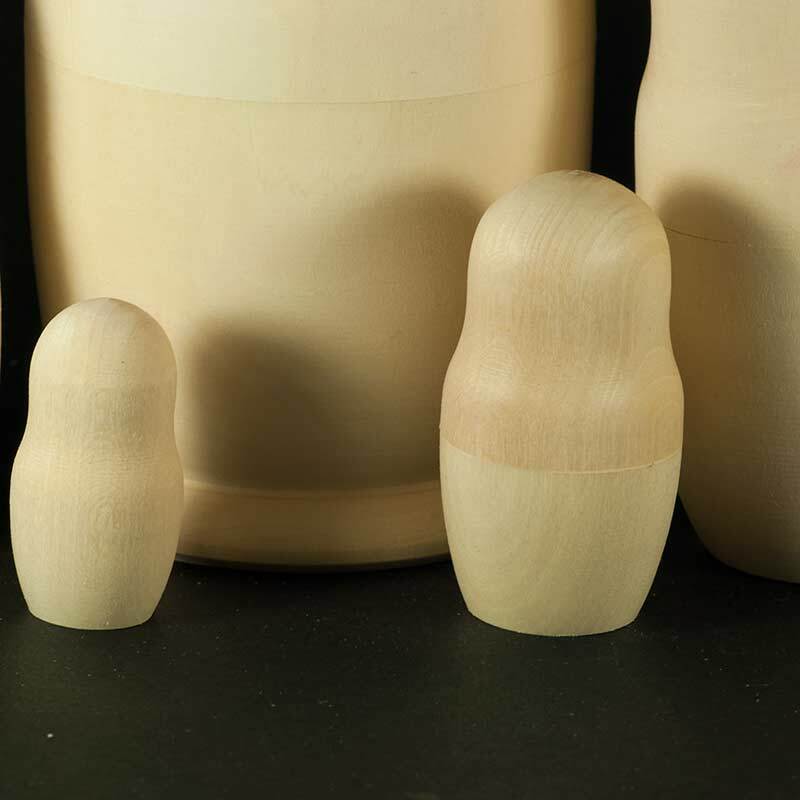 This unpainted 5 pieces matryoshka nesting doll specially for those who wish to paint own stacking doll. 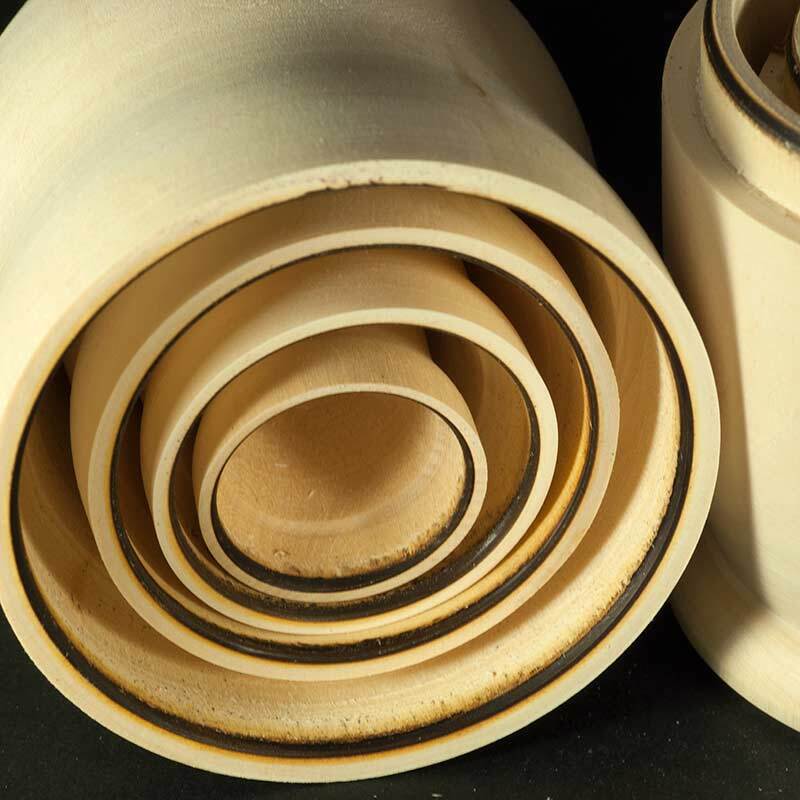 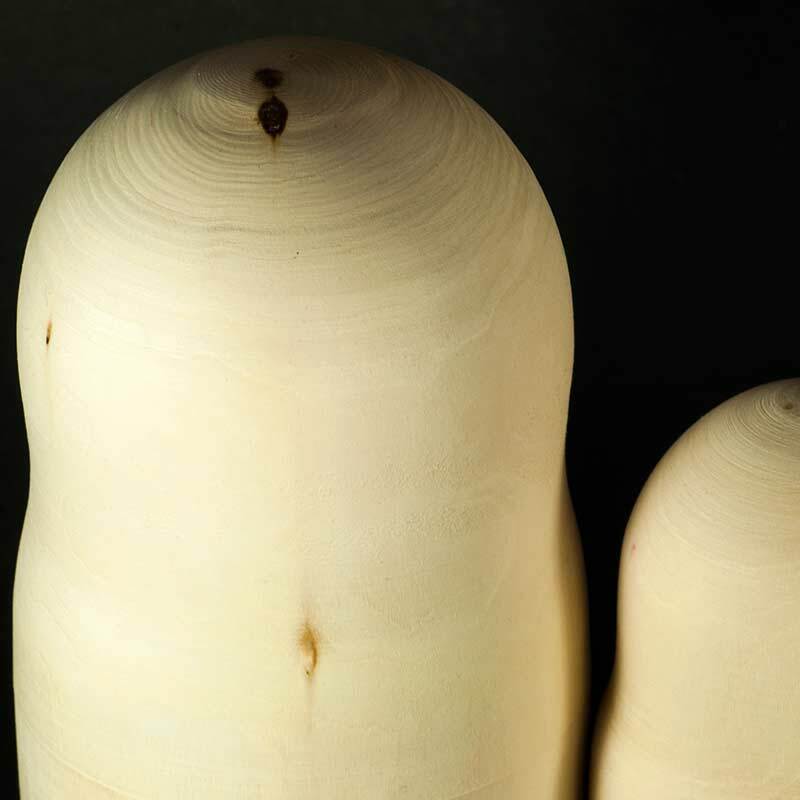 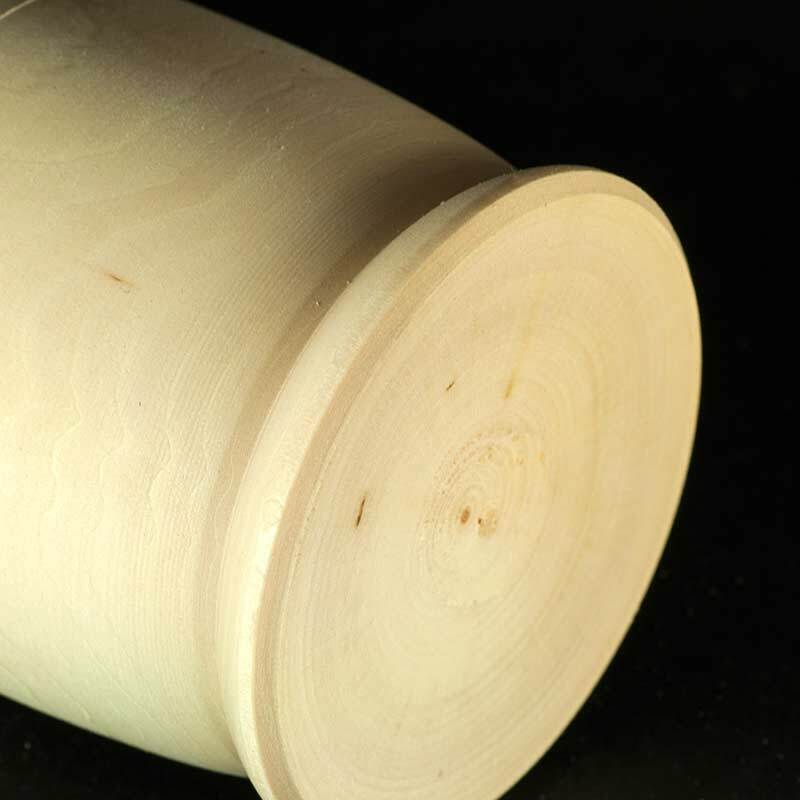 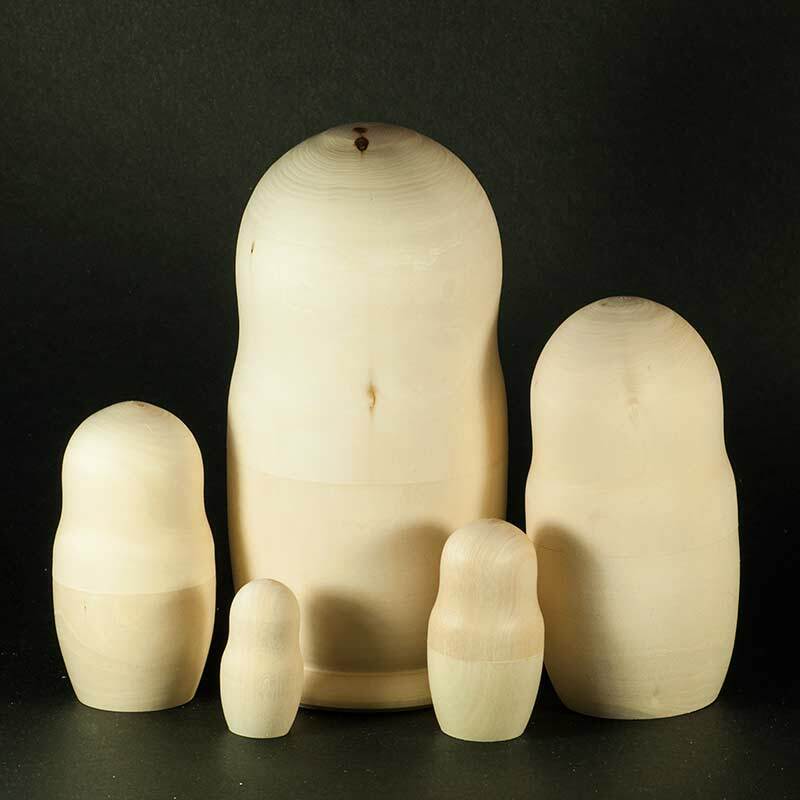 The blank nesting dolls is made on soft and dry lime tree and it is ready for painting. 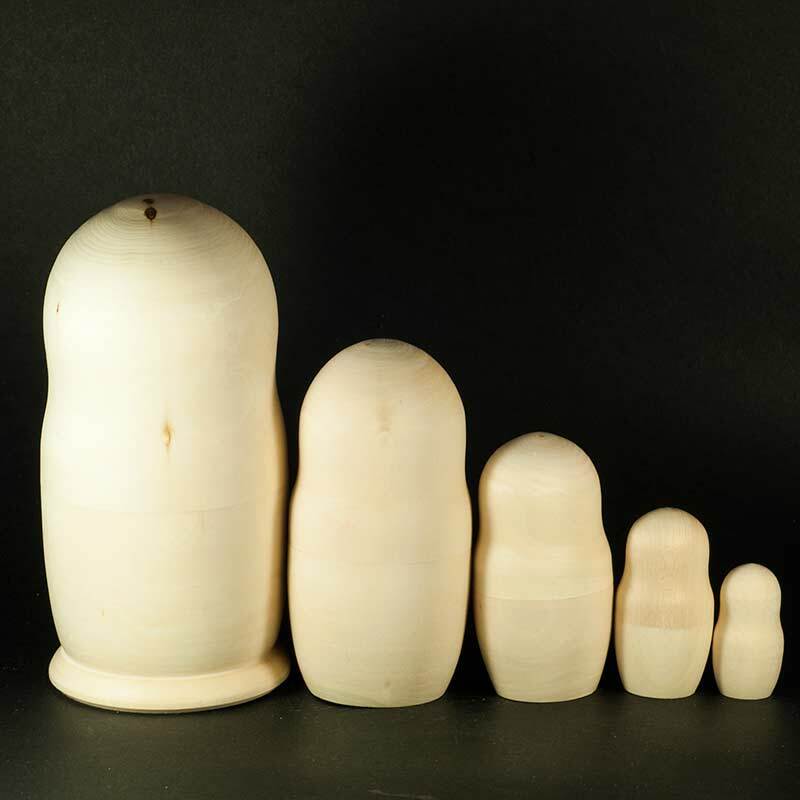 The doll has a pleasant round shape which is typical for nesting dolls of Sergiev Posad. 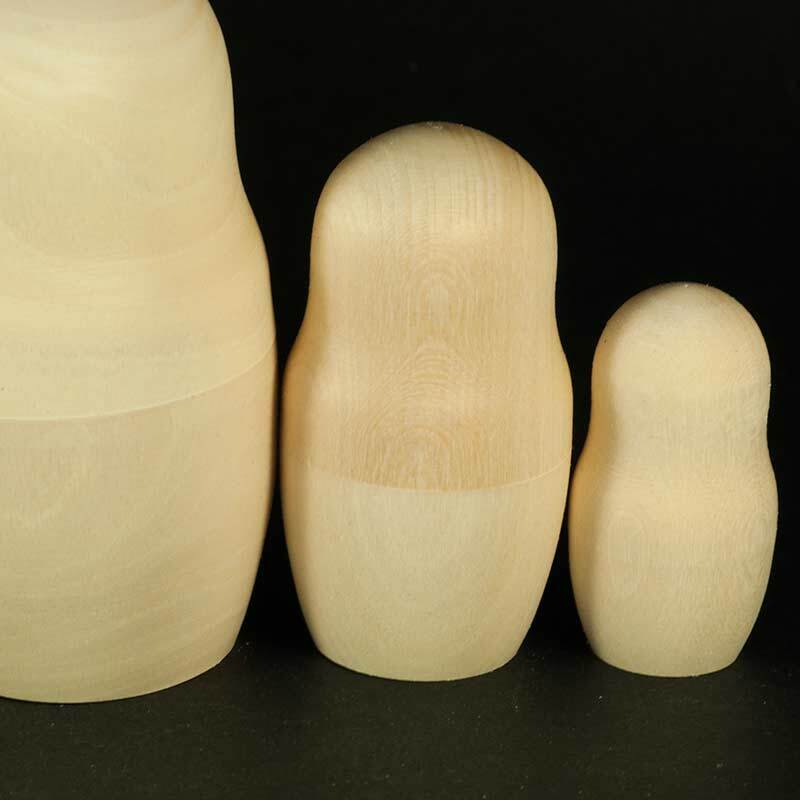 The largest doll in the set is 17,5 cm/7" tall, the smallest 5 cm/2".